Stamps-N-Lingers Ordering Special – Last Day! This is the last day – in fact the last few hours! Don’t miss out! I’m offering YOU Double Peppermint Rewards Points for these three days only! 1. All orders of $50 or greater (before shipping and taxes) placed through my online store between now and the end of the day today (14 Apr 19) will earn DOUBLE PEPPERMINT REWARD POINTS!! 2. Don’t forget to add my Host Code (7GYS9X7J) if your order is under $150 to get your free thank you gift (orders over $150 automatically get the free thank you git!). Stampin’ UP! Nature’s Golden Afternoon and some Sneak Peeks From OnStage 2019! Good morning! It’s Me. From OnStage in Charlotte! In just a few hours, I will be getting hooked up to a microphone and stepping out to introduce a roomful of fellow demonstrators to a brand spanking new Product Line from the 2019-2020 Annual Catalog. I am excited and also terrified to my toes. The fun layout for this one comes from this week’s Sunday Stamps sketch challenge. I started with the pretty Nature’s Poem DSP in the woodgrain design and matted it on Grapefruit Grove for the card front. Then I took another piece – the Tranquil Tide design – and cut it into three equal sized pieces. I also matted that on Grapefruit Grove – then adhered it to the card front with Liquid Glue. I cut a scalloped circle from Grapefruit Grove card stock using a Circles Layering Framelits die. Over that I adhered a Colored Doily (White side up!) with Liquid Glue. The sentiment circle comes courtesy of the Golden Afternoon stamp set. I first inked the pretty tree image in Soft Suede and stamped it off once, then stamped it on Whisper White. I used the Stamparatus – I think that sorta ought to go without saying anymore, huh?? 🙂 Over that, in Tranquil Tide, I added the sentiment. Since I was using the Stamparatus, I was able to stamp it a couple of times to get a good dark image. I cut that out with a Stitched Shapes Framelits circle die (these are – whaaaa! – sold out and not going to be replaced. So…if you don’t have this set, you can cut the sentiment out with a Circles Layering Framelits die. Add some “faux stitches” with a Journaling Pen if you like! 🙂 ). I adhered the sentiment onto the doily with Liquid Glue. Using the wonderful Frosted Bouquet Framelits, I cut several Whisper White branches and adhered them to the card front with Liquid Glue. Then I popped the matted sentiment over top with Stampin’ Dimensionals. I added a Grapefruit Grove Share What You Love Artisan Pearl and a Grapefruit Grove Nature’s Twine bow and the card front was done! For the inside, I used my Stamparatus and stamped the Golden Afternoon tree in stamped-off-TWICE Soft Suede on a Whisper White mat, then added a second sentiment in Tranquil Tide. I used Liquid Glue to adhere the panel to a Grapefruit Grove mat and into my Tranquil Tide card base, popped the card front on with Stampin’ Dimensionals and the card was done! …and more of the Nature’s Poem DSP on the envelope flap. Et Voila! Grab this Golden Afternoon stamp set, y’all! And some Nature’s Poem DSP – the retiring list will come out in a couple of days and this DSP is sure to be on it – and you don’t want to miss it! I hope you like! Speaking of retiring – the 2017-2019 In Colors (like…Lemon Lime Twist and the Tranquil Tide I used in this card!) will also leave us soon! If you don’t have card stock and ink refills in your faves – get them soon! Those’ll go like hotcakes when the Retiring List is officially released. Scroll on down to see all the other 2017-2019 In Color goodies that you need to get stocked up on SOON! P.S. You’ve still got time to take advantage of my OnStage Double Peppermints Ordering Special!! In celebration of OnStage – and my looming debut ON said stage! – I’m going to offer YOU Double Peppermint Rewards Points for these three days only! 1. All orders of $50 or greater (before shipping and taxes) placed through my online store between now and the end of the day on 14 Apr 19 will earn DOUBLE PEPPERMINT REWARD POINTS!! 3. For more information about my Punkin Head Peppermint Reward points (my buyer reward program), click here. And – your $50 order will earn you FREE Sale-A-Bration goodies, so…winner winner Prime Rib dinner!! News from CenterStage and the New 2019-2020 Annual Catalog! Take a look-see at the cover of the new catalog! …and pose with Sue and Amy to commemorate the evening! Watch here and on my Stamps-N-Lingers FB page for more Sneak Peeks throughout the next couple of days! The Retiring List Will Be Released Next Week! Hard as it is to believe, the 2018 – 2019 Annual Catalog is reaching retirement age! That’s right….ALREADY! On 15 April at 1pm Mountain Time, we’ll get a look at the list of favorites from that and the 2019 Occasions Catalog! While we don’t know everything that will be on the list…we DO know that the 2018-2019 In Colors WILL be leaving us for certain sure! Past experience tells us that once this list becomes “official” – some things…like ink pads, refills and card stock! – go off the shelves super fast! So this would be a great time to stock up on your favorite colors!! Change It Is A Coming! There’s a lot of “NEW” coming to us from Stampin’ Up! as we move into the next year! Here’s a link to my recent post with all the information. As always – if you have any questions, give me shout! Okay – have at it – and be thinking calming “Mary’s going to do just fine and PROBABLY won’t pass out…” thoughts! Good morning! Sunday has dawned….chilly…here in the mid-Atlantic! Again. Saturday was shirt-sleeve weather and today…not so much. Oh well. That’s what covers, mittens and caps are for, right?? If you were able to join me last night for my FB live video at the new time on the new day, I appreciate you spending part of your weekend with me! If not, but you’d like to see how to make today’s card, here’s the replay! Good morning – again! This is my second post today – if you’re looking for my card share from earlier, check it out right here!! We’re less than two weeks away from the end of the 2019 Sale-A-Bration Promotion – can you believe it?!? So, to send this great event out in style, I’m offering Double Peppermint points between now and the close of business (and end of Sale-A-Bration!) on 31 March 19! Well, folks – today’s the day! Today we board the Explorer of the Seas and head off on the Stampin’ Up! Alaskan Cruise! I want to send a huge HUGE thank you to all my customers who helped to make this day possible. I’m really looking forward to seeing old friends and meeting new, seeing the sights and sharing lots of pictures with y’all! It’s the weekend again! Whoo-hoo! Well – it’s all Whoo-hoo as long as I don’t contemplate that this time next week…I’ll be on a plane to California. Bleh. Stampin’ Up! 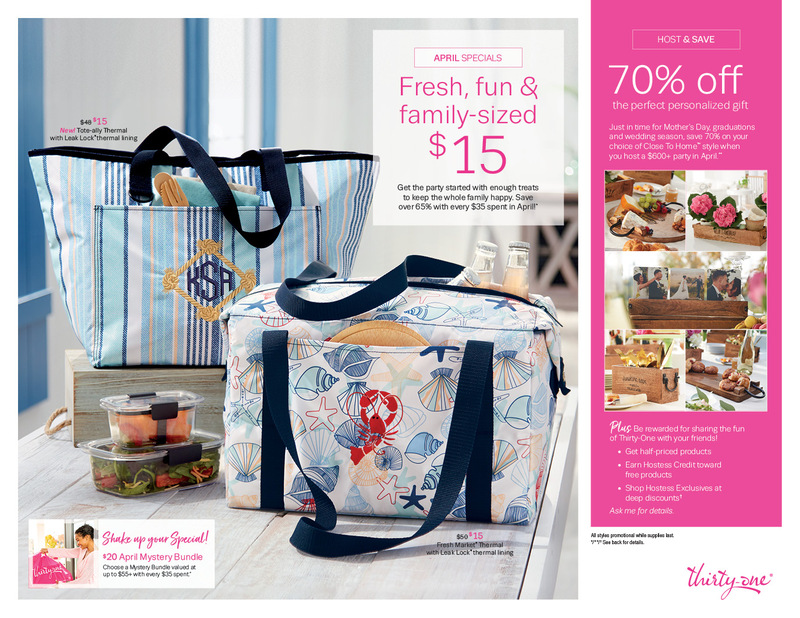 Stamps-N-Lingers 2017-2018 Annual Catalog Launch Ordering Special!! This is my second post for the day – If you’re looking for the Happy Inkin’ Thursday Blog Hop, check it out right here! In celebration of today’s launch of the new 2017-2018 Annual Catalog, I’m offering an Ordering Special (actually – TWO ordering specials – read on!!). From right now until close-of-business on 15 June – I’m offering DOUBLE Peppermint Points on all orders over $50 (before shipping and tax) placed thru my Online Store. Whaaaaaat??! Yes – you read me right. Order over $100 and I’ll give you DOUBLE Peppermint Rewards Points (that’ll be at least EIGHT points!) 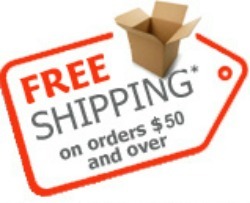 AND FREE SHIPPING!! If you place your order online, don’t forget to add the host code below (if your order is under $150) to get your free gift! If your order is over $150, please don’t use this code (you’ll miss out on your own Stampin’ Rewards if you use it) but you’ll still get the free gift. I know you’re excited to get going – Noon Mountain Time just can’t come quick enough!! !